* The ANNUAL PERCENTAGE RATE (APR) is subject to change monthly on the first day of the billing cycle to reflect any change in the Index. It will be determined by the Prime Rate as listed in the “Money Rates” section of The Wall Street Journal on the first business day of each month to which we add a margin. The APR will never be greater than 18.00%. Any increase in the APR will take the form of additional payments shown as Total Minimum Payments on the statement. If the Index is no longer available, the Credit Union will choose a new index which is based upon comparable information. Your credit limit and initial interest rate will depend on your ability to repay and your credit worthiness. Credit limits up to $3,000 require a minimum 680 FICO credit score. Credit limits between $3,000 and $7,,500 require a minimum 700 FICO credit score. Credit limits between $7,500 and $10,000 require a minimum 720 credit score. Credit limits over $10,000 require a minimum 760 FICO credit score. You must be a member of UFCU to apply. Call 1-800-975-3328 or email John.Holtzhauer@Unilever.com for qualifying details. **First Conforming Mortgage Loans Between $484,350.00 & $726,525.00 and High Cost Counties.  Loan amounts between $484,350.00 & $726,525.00 are available in “high-cost” Counties only. To determine if your home is in a “high-cost” County, Click here. All mortgage loans must meet Credit Union credit approval requirements including a loan-to-value maximum of 80% and must be owner-occupied or 2nd home/vacation home. Actual rate and term will be based on your credit worthiness and your ability to repay. UFCU reserves the right to withdraw this offer at any time. Rates are subject to change without further notice. Certain costs and restrictions may apply. You must be a member of UFCU to apply. Installment mortgage loans (1st mortgage loans) require a minimum FICO credit score of 700. Call 1-800-975-3325 or email john.holtzhauer@unilever.com for qualifying details. *APR= Annual Percentage Rate. The actual APR of the loan is based upon credit score and capability to repay loan. Rates are subject to change without further notice. Limited time offer. Must be a UFCU member to apply. The posted interest rates are for current model year vehicles, and 3 previous model year vehicles (2019-2016). The maximum repayment term for model years 2013 and older is 48 months. Vehicle model years 2012 thru 2015-add 100 basis points to the posted vehicle interest rates. Vehicle model years 2010 thru 2011-add 200 basis points to the posted vehicle interest rates. Personal Loans and Vehicle Loans under $5,000 require a minimum 720 FICO Credit Score. Personal Loans and Vehicle Loans over $10,000 require a minimum 760 FICO Credit Score. Call 1-800-975-3328 or email John.Holtzhauer@Unilever.com for qualifying details. *APR= Annual Percentage Rate. The actual APR of the loan is based upon credit score and capability to repay loan. Rates are subject to change without further notice. We reserve the right to modify or discontinue. The maximum amount to borrow is $50,000. Loans under $10,000 require a 700 minimum FICO credit score. Loans between $10,001 and $20,000 require a 740 minimum FICO credit score. Loans between $20,001 and $50,000 require a 760 minimum FICO score. You must be a member of UFCU to apply. Call 1-800-975-73328 or email John.Holtzhauer@Unilever.com for qualifying details. Upon maturity, certificates are renewed automatically for the same term and at the current rate, unless you specify otherwise. Certificates of Deposit are subject to an early withdrawal penalty. You must be a member of UFCU to apply. Certain cost and restriction may apply. Money Market Accounts = $2,500. Regular Certificates of Deposit = $1,000. Roth or Traditional IRA = $500.